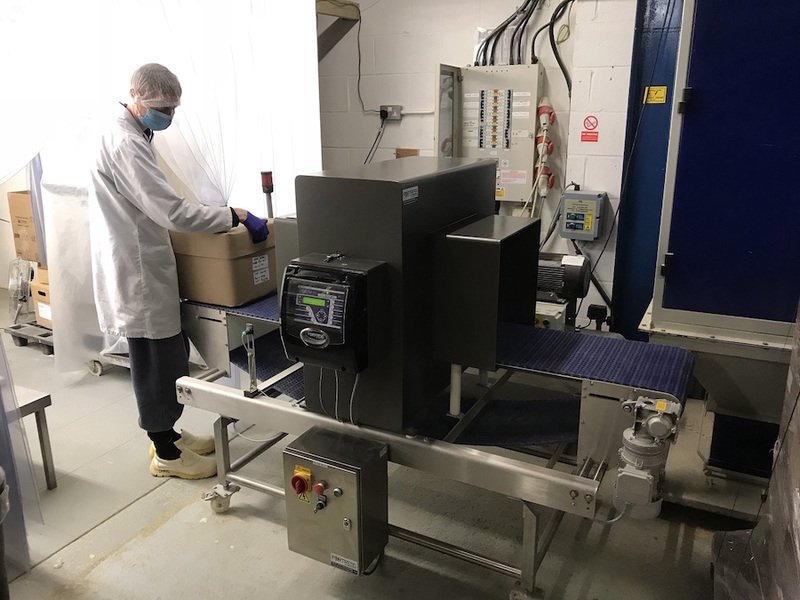 After winning a contract to supply over 100 million pressed tablets in 15kg bulk boxes to a company that then ships worldwide, dietary supplement manufacturer Oxford Contract Manufacturing (OCM) has invested in a larger aperture Stealth metal detector from Fortress Technology. An ISO 22000 FSSC-certified facility, the high performance detector is pivotal to the company’s HACCP (Hazard Analysis and Critical Control Points) program. Delivering unrivalled sensitivity along with built-in data capture capabilities, the metal detector ensures the Oxfordshire-based company is complying with global retailer and regulatory standards. With the North American supplements market expected to reach USD 68.22 billion by 2025 and minerals anticipated to be one of the fastest growing segments, public trust is critical. Although finished dietary supplement products and dietary ingredients are regulated by the U.S. Food & Drug Administration, it’s the responsibility of manufacturers and distributors to evaluate the safety and labeling of products to ensure they meet the requirements of the Dietary Supplement Health and Education Act of 1994 (DSHEA) and FDA. OCM’s advantage lies in the assurance that it offers. Rigorous quality control is key to maintaining the trust of these customers and ensuring products meet the regulatory requirements of every geographical market they are sold in. To satisfy its own HACCP program and the terms of the new bulk supplement contract, and with none of their on-site metal detection equipment able to accommodate the 15kg boxes of pressed tablets, the company took the decision to invest in a new large aperture detector. In the world of bulk metal detection, larger aperture sizes typically mean reduced sensitivity. Yet, product tests confirmed that Fortress Technology’s BBK (Bulk Stealth) metal detector was able to detect ferrous particles down to 2mm, non-ferrous to 2mm and stainless steel to 2.5mm - sensitivities that are incomparable within the industry. Situated downstream from the tablet press, which can produce between 200 and 400kg of tablets per hour, the system was customized to the exact dimensions of the packs to optimize performance. Other customized specifications included a left hand conveyor system, belt stop and alarm reject. The cardboard boxes used to contain the tablets presented another challenge to the detector’s sensitivity. Because the boxes were made from recycled carton board containing some particles with metallic properties, during tests the metal detector would trigger false rejects. To solve this Fortress used digital signal processing technology to optimize the detection parameters and phase out this interference. In addition to conveyor metal detectors, nutraceutical manufacturers may deploy other inspection technologies. This could include specialist pharmaceutical metal detector to inspect freeflowing powders, tablets and capsules before bagging. Compliant to FDA standards, the Fortress offering includes a free IQ/OQ Validation package. Also available is an offline Laboratory Quality Assurance metal detector to quickly filter out metal contaminants in rejected bulk product and identify the origins of the contamination.